Thanks to one sharp-eyed Twitter reader for catching this one! 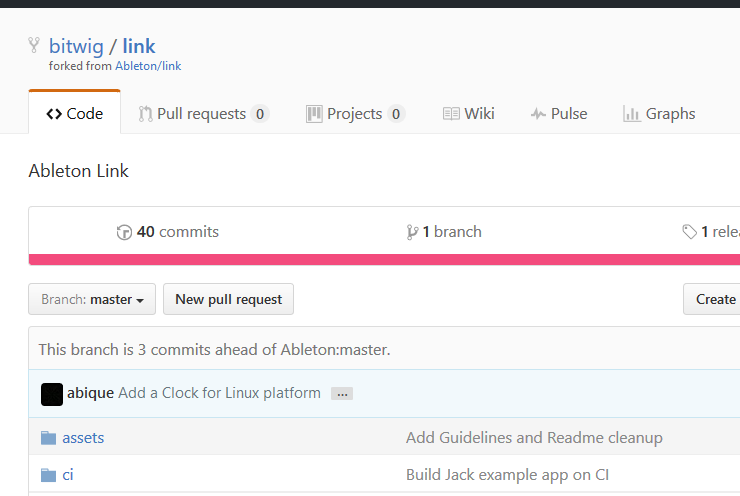 The reason is interesting – ALSA clock support on Linux, which would make working with Link on that OS more practical. Now, Ableton has no obligation to support Bitwig as far as integrating Link into the shipping version of Bitwig Studio. Proprietary applications not wanting to release their own code as GPLv2 need a separate license. On the other hand, this Linux note suggests why it could be useful – Bitwig are one of the few end user-friendly developers working on desktop Linux software. (The makers of Renoise and Ardour / Harrison MixBus are a couple of the others; Renoise would be welcome.) But we’ll see if this actually happens.